Providing superior care for you and your feet in the New River Valley. Click Below To schedule an Appointment with our contact form. 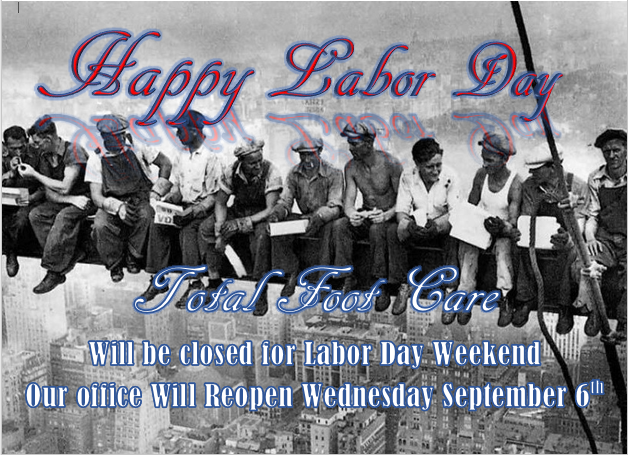 Total Foot Care is dedicated to the overall health and well being of your feet. warm, professional, and comfortable environment. Click on any of the links below in blue to be re-directed to a page with information about the conditions. Many people are more concerned about how a shoe looks than how it affects their foot health. However, if you are putting fashion ahead of function, you might be causing harm to your feet and ankles.With a better understanding of the construction of a shoe and how to select the proper shoe for specific activities, you will be able to improve the overall health of your feet and ankles. Don't worry; functional shoes can still be fashionable. You just need to understand what to look for when purchasing shoes. Our office will be closed Monday May 21st, Wednesday May 23rd, Monday May 28th (For Memorial Day), and Wednesday May 30th. We will be open Tuesdays May 22nd and 29th. We are now accepting United Health Care. We are now accepting Anthem Blue Cross and Blue Shield as well as all other Anthem subsidiaries as a primary insurance. We are now accepting Virginia Premier and the Veteran's Choice Program. Starting April 1, 2016 our office will no longer accept Anthem Blue Cross and Blue Shield Plans. We will also no longer accept Optima or Most United Health Care Plans. Our office will continue to accept Medicare, Virginia and West Virginia Medicaid as well as all of its secondary's. Diabetic foot care is always important, but winter can make keeping your foot health an even bigger challenge, considering the health threats like numbness and decreased circulation. 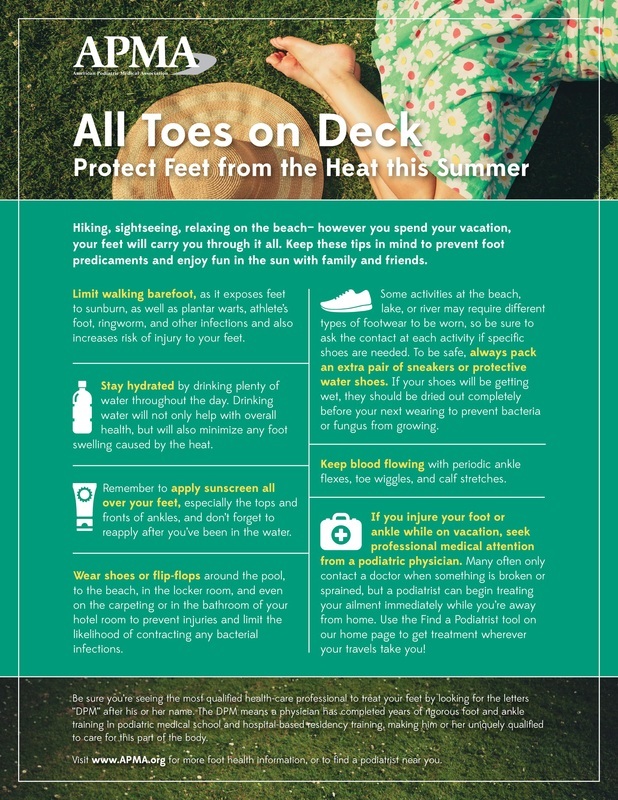 These Tips can help you care for your feet. Look carefully at all the pressure areas of your feet and between your toes. Inspect them for any breaks in the skin, discharge, changes in color, odor and any painful corns or calluses. If you have trouble seeing your feet closely, ask a friend or family member to help with your diabetic foot care. Let your doctor know about any changes you find. Make sure winter shoes and boots provide warmth, protections form snow and ice, and proper padding, and that they are roomy enough not to constrict blood flow to your feet. Avoid man-made shoe or boot materials that lock in moisture, and don't forget about choosing the right socks. Sloshing through wet snow or icy puddles can lead to dangerously damp feet. Moisture that collects between your socks and your feet and between your toes for too long can invite unwanted bacteria to gather. When your feet get wet for being outside or bathing, you need to dry them carefully and gently. Also, remember to change out of wet socks as soon as possible. Diabetes nerve damage and poor circulation can cause decreased function of the moisturizing glands of your feet. Watch for red, shiny areas when you do your daily inspection. Ask your doctor to recommend a good moisturizer for diabetic foot care, and use it after bathing, your feet every day, but avoid leaving too much moisturizer between your toes. ​Untrimmed or infected toenails are a frequent cause of infections and ulcers. Ask your diabetes doctor how to trim your toenails correctly. you can soak you feet first to soften the nails and then cut them straight across. if you have trouble trimming your nails, get professional help. Nerve damage in your feet caused by diabetes can make keeping them warm in winter risky. Be careful when using electric blankets, hot soaks, and heating pads or warming your feet on a radiator. Always check water temperature with your hands or a bath thermometer before you stick your feet in. Keeping your diabetes under good control is an important part of diabetic foot care. Work with your doctor to control your sugar and be sure to watch your diet, maintain your weight, exercise regularly, and avoid smoking. Your feet will thank you. Our office is Closed due to the winter weather today 2/16/15 and will be closed tomorrow 2/17/2015. 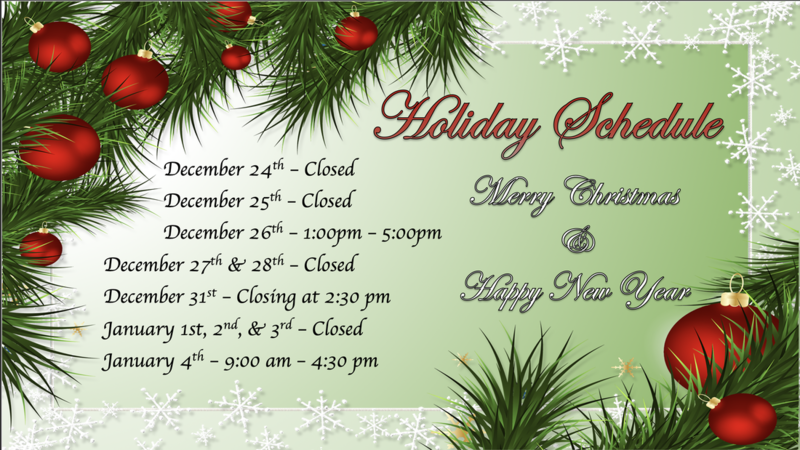 Our office will be closed for the Christmas Holiday starting December 24th. 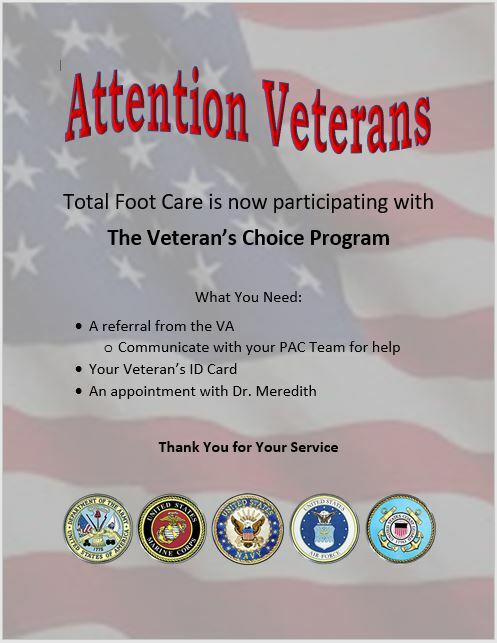 Total Foot Care will re-open Monday December 29th. If you have a medical emergency please dial 911 or procede to your nearest Emergency Room. foot.nrv@gmail.com you can also fill our contact form found on our Appointments page. Our patient portal is now available you can use it to view your medical records with us as well as update your medical history from home before your first visit. The patient portal reduces your wait time and makes your first visit smooth and simple. You will need an email address and a scheduled appointment to acess the portal for the first time. Did you know it is important for diabetics to have a yearly foot exam to insure the overall health and wellbeing of their feet? More Information on the matter can be found on the website for the American Diabetes Association.